Extremely well maintained home in one of the best school districts in the state! This 3 bed 2 bath 3 car home features an amazing chef's kitchen with granite counters, stainless appliances and tons of cabinets. The spacious living room will accommodate any size furniture and is capped with a beautiful fireplace. The master retreat has a large bedroom and a fantastic master bath with a whirlpool tub, glass shower and nice sized vanities. The home backs to a large piece of land and has a waterfront view for those relaxing evenings spent under the large covered patio. The spacious 3 car garage has plenty of room for vehicles and also boasts an in-ground storm shelter. 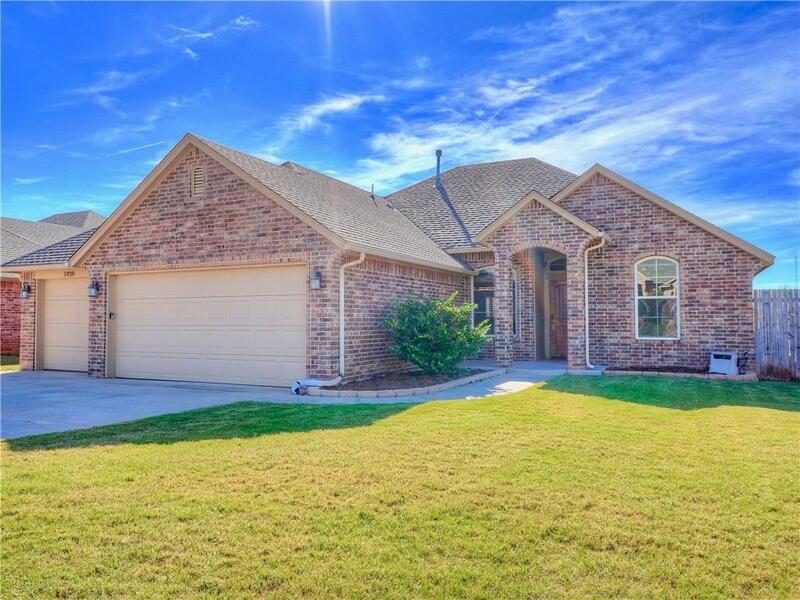 With convenient access to highways, shopping and Tinker Air Force Base you will be happy to call this one HOME!